Rather, it is a deduction from a combination of beliefs, such as (1) Genesis 1:1 is not the actual act of creation but rather a summary of or title over Genesis 1:2-2:3; (2) the creation week of Genesis 1:2-2:3 is referring to the act of creation itself; (3) each “day” (Heb. 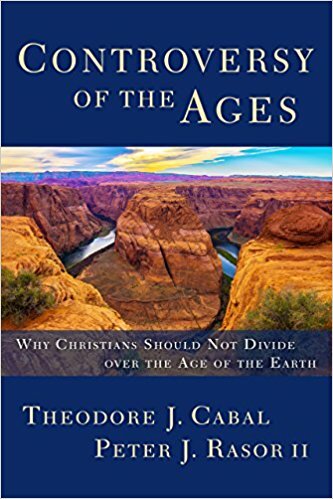 yom) of the creation week is referring to an 24-hour period of time (reinforced by the statement in Exodus 20:11); (4) an old-earth geology would necessarily entail macroevolution, hominids, and animal death before the Fall—each of which contradicts what Scripture tells us; and (5) the approximate age of the earth can be reconstructed backward from the genealogical time-markers in Genesis. These five points may all be true, but I think it’s helpful to understand that the question “how old is the earth?” is not something directly answered in Scripture but rather deduced from these and other points. So it may come as a surprise to some contemporary conservatives that some of the great stalwarts of the faith were not convinced of this interpretation. Augustine, writing in the early fifth century, noted, ”What kind of days these were it is extremely difficult, or perhaps impossible, to determine” (City of God 11.7). I want to suggest there are some good, textual reasons—in the creation account itself—for questioning the exegesis that insists on the days as strict 24 hour periods. Am I as certain of this as I am of the resurrection of Christ? Definitely not. But in some segments of the church, I fear that we’ve built an exegetical “fence around the Torah,” fearful that if we question any aspect of young-earth dogmatics we have opened the gate to liberalism. The defenders of inerrancy above show that this is not the case. And a passion for sola Scriptura provides us with the humility and willingness to go back to the text again to see if these things are so. What follows are brief sketches of biblical reasons to doubt young-earth exegesis. 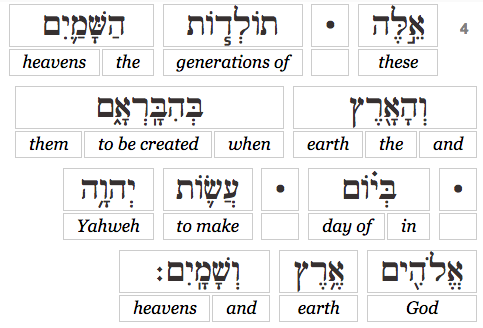 In Genesis 1:1, “created” is in the perfect tense, and when a perfect verb is used at the beginning of a unit in Hebrew narrative, it usually functions to describe an event that precedes the main storyline (see Gen. 16:1, 22:1, 24:1 for comparison). Furthermore, the Hebrew conjunction at the beginning of Genesis 1:2 supports this reading. After the act of creation in Genesis 1:1, the main point of the narrative (in Gen. 1:3-2:3) seems to be the making and preparation of the earth for its inhabitants, with a highly patterned structure of forming and filling. In Genesis 1:1, God creates the “heavens and the earth.” (In Joel 3:15-16 we see that “heavens” encompasses the sun, the moon, and the stars.) Then in Genesis 1:2 we are told that this earth that was created is without form and void, that darkness covers the waters, and that the Spirit is hovering over it. If Genesis 1:1 is not the act of creation, then where do the earth, the darkness, and the waters come from that are referred to in Genesis 1:2 before God’s first fiat? Further, if the sun is created in day four (Gen. 1:16), why do we have light already appearing in Genesis 1:3? It helps to remember that in Hebrew there are distinct words for create and make. When the Hebrew construction let there be is used in the phrase “Let your steadfast love . . . be upon us” (Ps. 33:22; cf. Ps. 90:17; Ps. 119:76), this obviously isn’t a request for God’s love to begin to exist, but rather to function in a certain way. Similarly, if the sun, moon, stars, and lights were created in Genesis 1:1, then they were made or appointed for a particular function in Genesis 1:13, 14, 16—namely, to mark the set time for worship on man’s calendar. In Genesis 2:2-3 where we are told that “on the seventh day [yom] God finished his work that he had done, and he rested on the seventh day [yom] from all his work that he had done. So God blessed the seventh day [yom] and made it holy, because on it God rested from all his work that he had done in creation.” The question we have to ask here is: was God’s creation “rest” limited to a 24-hour period? On the contrary, Psalm 95 and Hebrews 4 teach that God’s Sabbath rest “remains” and that we can enter into it or be prevented from entering it. In Exod 20:11, the command for the people of God to remember the Sabbath day is grounded in God’s pattern of work and rest during the creation week. The people of God are to work for six solar days (Exod 20:9) and then rest on the seventh solar day (Exod 20:10). If, therefore, it can be maintained that God’s seventh day rest in Gen 2 extends beyond the scope of a single solar day, then the correspondence between the “day” of God’s rest and our “day” of observance would be analogical, not identical. In other words, if day seven is an unending day, still in progress, then our weekly recognition of that day is not temporally identical. As such, there is no reason to maintain that the same could not be true for the previous six days, especially if the internal, exegetical evidence from Genesis 1 and 2 supports this reality. Defenders of the 24-hour view acknowledge that yom can mean more than a single calendar day but often insist that “[numbered] yom“ (e.g., “first day”) always, without exception, refers to a 24-hour day in the Hebrew Bible. This is not true, however. Not only does the rest of the canon tell us that the ”seventh day” is not 24 hours, but Hosea 6:2 (“third day”) seems to be used in an analogical way that does not refer to a precise 24-hour time period. In his article “Because It Had Rained” (part 1 and part 2), Mark Futato of Reformed Theological Seminary explains the logic of Genesis 2:5-7 and shows its role in OT covenantal theology. Futato sees in this passage a twofold problem, a twofold reason, and a twofold solution. No wild vegetation had appeared in the land. No cultivated grains had yet sprung up. The twofold reason for this problem? The Lord God had not sent rain on the land. There was no man to cultivate the ground. The twofold solution to this problem? God caused rain clouds to rise up from the earth and water the whole surface of the ground. The Lord God formed the man. Note the reason why there were no shrubs or small plants in the Garden: because “it had not yet rained.” The explanation for this lack of vegetation which is attributed to ordinary providence. But if the sixth day is a 24-hour period, this explanation would make little sense. The very wording of the text presupposes seasons and rain cycles and a lengthier passage of time during this “day [yom]” that God formed man. This doesn’t mean that it refers to thousands of years, or hundreds of years. It just means that it’s very doubtful it means a 24-hour period. So What Does God Mean by “Days” in Genesis 1? Let’s go back to the “seventh day.” On the seventh day, according to Exodus 31:17, God “rested and was refreshed.” Why would an omnipotent and inexhaustible God need to be “refreshed”? It’s the same Hebrew word used for getting your breath back after running a long race (Ex. 23:2; 2 Sam. 16:14). The reason it is not improper to say that God was refreshed is the same reason it’s not improper to say that God breathes, hovers, is like a potter, gardens, searches, asks questions, comes down, etc.—all images of God used in Genesis. God’s revelation to us is analogical (neither entirely identical nor entirely dissimilar) and anthropomorphic (accommodated and communicated from our perspective in terms we can understand). So when God refers to “days,” does he want us to mentally substitute the word “eons” or “ages”? No. Does he want us to think of precise units of time, marked by 24 exact hours as the earth makes a rotation on its axis? No. Does he want us to think of the Hebrew workday? Yes, in an analogical and anthropomorphic sense. Just as the “seventh day” makes us think of an ordinary calendar day (even though it isn’t technically a 24-hour period), so the other “six days” are meant to be read in the same way. This agrees with the biblical representation generally. The human is the copy of the divine, not the divine of the human. Human fatherhood and sonship are finite copies of the Trinitarian fatherhood and sonship. Human justice, benevolence, holiness, mercy, etc., are imitations of corresponding divine qualities. The reason given for man’s rest upon the seventh solar day is that God rested upon the seventh creative day (Ex. 20:11). But this does not prove that the divine rest was only twenty-four hours in duration any more than the fact that human sonship is a copy of the divine proves that the latter is sexual. Augustine (the most influential theologian in the Western Church) believed something similar, as did Franz Delitzsch (perhaps the great Christian Hebraist). It was the most common view among the late 19th century and early 20th century conservative Dutch theologians. For more on this interpretation, see C. John Collins, Genesis 1-4: A Linguistic, Literary, and Theological Commentary (P&R) and Vern Poythress, Redeeming Science: A God-centered Approach (Crossway). For short and helpful resources on this, see Vern Poythress’s booklets, Christian Interpretations of Genesis 1 and Did Adam Exist? Also, it looks like the new book by Kenneth Keathley and Mark Rooker may now be the best introduction to the issues of creation and evolution in a concise and accessible yet thorough manner: 40 Questions About Creation and Evolution (Kregel, 2014). For a couple of good models of Reformed believers discussing these issues with charity and care (instead of with rancor), I’d recommend Keith Matthison’s free ebook, A Reformed Approach to Science and Scripture (originally a blog series) and the PCA’s Report of the Creation Study Committee. If I had the power to require every Christian parent, pastor, and professor to read two books on creation and evolution—ideally alongside their mature children, parishioners, and students—it would be 40 Questions about Creation and Evolution (by Kenneth Keathley and Mark Rooker) along with the book you are now holding in your hands, Controversy of the Ages: Why Christians Should Not Divide Over the Age of the Earth.